Last week, Tom Holland took to Twitter with a cryptic post consisting of just two ominous words: “Monday morning…” Naturally, the fans quickly jumped to the conclusion that some new Spider-Man: Far From Home material was on the way, and sure enough, Holland has followed through on his tease by sharing three new posters via Instagram. 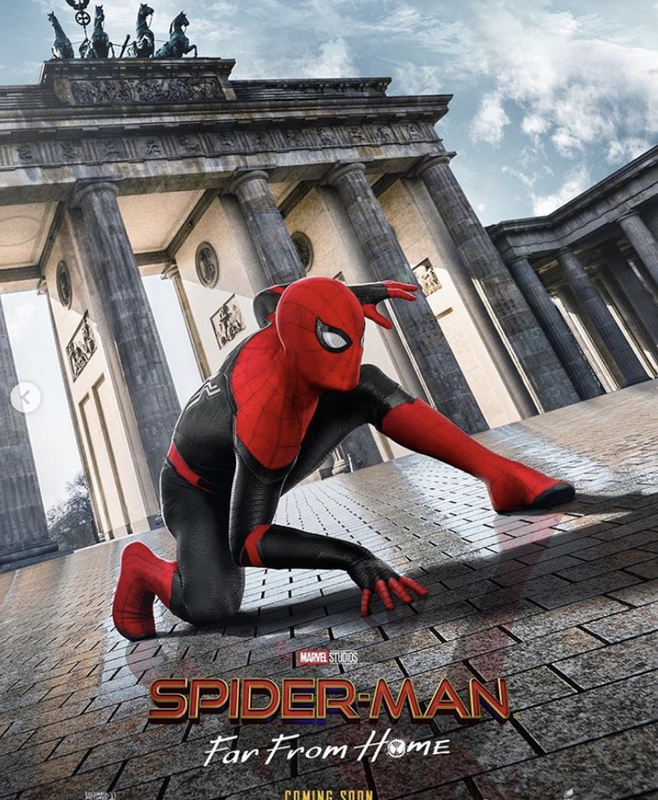 It may not be the new trailer that many of us thought Holland might be hinting at, but it’s still a nice array of pics which show Peter Parker sporting his new red-and-black outfit against several European backdrops. 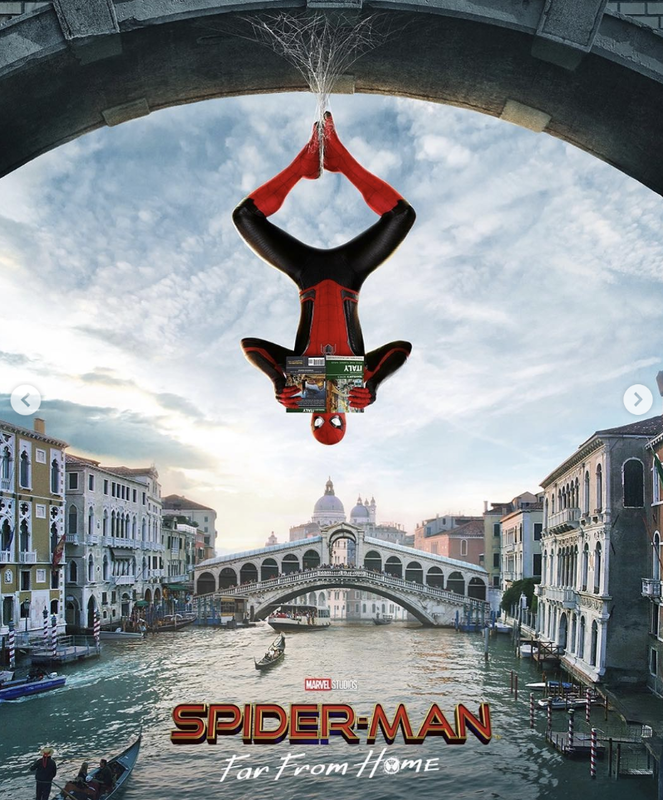 The Venice poster even has Spidey looking at an Italian guide book, though you can expect him to do a lot more than sightseeing as he and his classmates travel the continent. 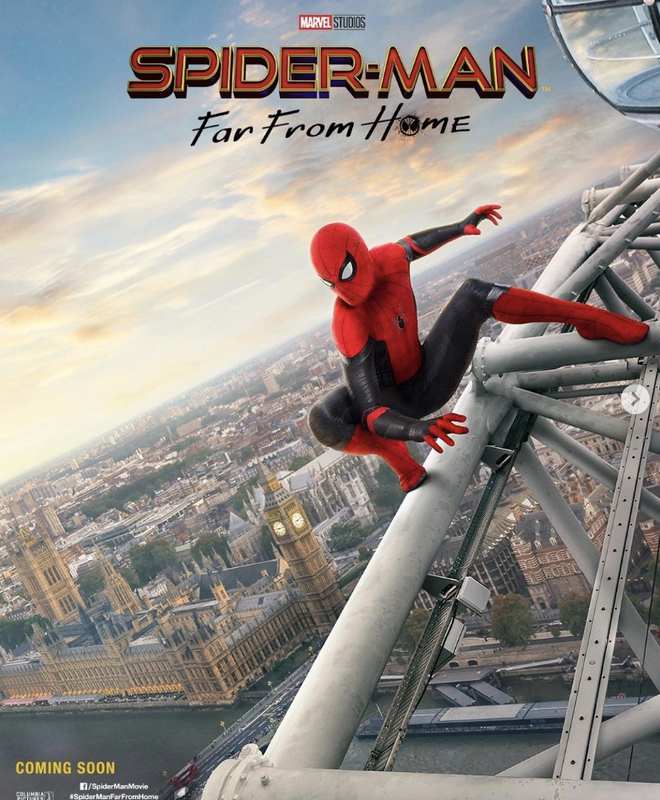 As the first Far From Home trailer made clear, Peter’s field trip is interrupted by the arrival of Nick Fury, who enlists the wall-crawler on a mission to fight Elementals across Europe. He even has an unlikely ally in Quentin Beck, aka Mysterio, though there’s already been plenty of speculation that Jake Gyllenhaal’s character might be secretly behind all the Elemental activity. Either way, given Mysterio’s comic book history, it’s unlikely that he and Spider-Man will still be on good terms by the end of the film. Speaking of friends, the movie will also see the return of several of Peter’s peers from the Midtown School of Science and Technology, including Michelle “MJ” Jones, who looks just about ready to start her inevitable romantic subplot with our hero. We’ll find out what else is in store for the web-slinger when Spider-Man: Far From Home hits theaters on July 5th, 2019. But first, we’ll be learning just how Peter and Fury are back in the world of the living when Avengers: Endgame comes out on April 26th.